2017 Team Series: Done and dusted. *Please note: All scores are unofficial pending video-review process, which will be complete on Oct. 16. 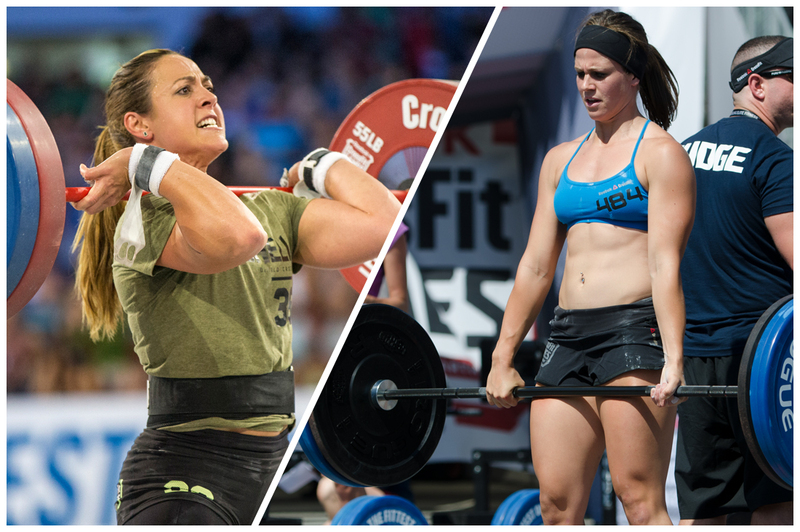 The 2017 CrossFit Team Series, presented by Compex, is done—and the streak is over. 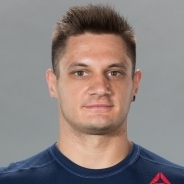 For the last three years, 2015 CrossFit Games champion Ben Smith has been on the Series’s winning team, with six-time Games veteran Scott Panchik at his side for two of the three. 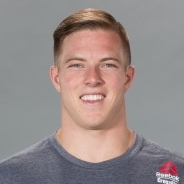 Though Smith and Panchik looked poised to continue the tradition as a duo, finishing Week 1 in the top spot for male pairs, the Reebok legacy came to an end on Monday night when team Training Think Tank—composed of four-time Games veterans Noah Ohlsen and Travis Mayer—bested team Reebok Legacy by 7 points to win the division. Training Think Tank earned the win with five top-five finishes across the eight workouts. “No matter who it's against, it always feels good to win,” Ohlsen said via email Tuesday night. In the female-pair division, the Dottirs reigned supreme. 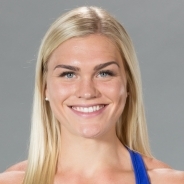 Annie Thorisdottir and Katrin Davidsdottir—both consecutive, two-time CrossFit Games champions—surprised nobody with their victory, taking first place with three wins and six top-three finishes. Similarly, Team XPN World (Alex Vigneault and Carol-Ann Reason-Thibault) maintained its Week 1 lead to finish the Series at the top of the mixed-pair division, winning four workouts and notching seven top-three finishes along the way. In addition to bragging rights, the winning team in each division will take home a bounty of US$10,000. 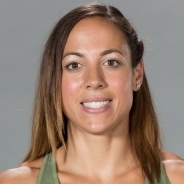 Neither Ohlsen nor Mayer knew Smith and Panchik were competing in the Team Series—let alone together—until they saw their opponents’ scores posted on the leaderboard after Week 1. “My initial reaction was, ‘Dang it,’” Ohlsen admitted. “Once we saw they were a team, we knew we had to bring it all for Week 2,” Mayer, also writing via email, said. After Week 1, Training Think Tank trailed Reebok Legacy by just 1 point. The odds were stacked against Training Think Tank. Ohlsen was committed to a 10-day trip abroad in the middle of the Series, and Mayer and his wife had welcomed their second child into the world just a week before the competition began. So the pair completed all four Week 2 workouts in less than 24 hours. “Fast turnaround, but it was a blast,” Mayer wrote. Each team beat the other in two of the four remaining workouts. 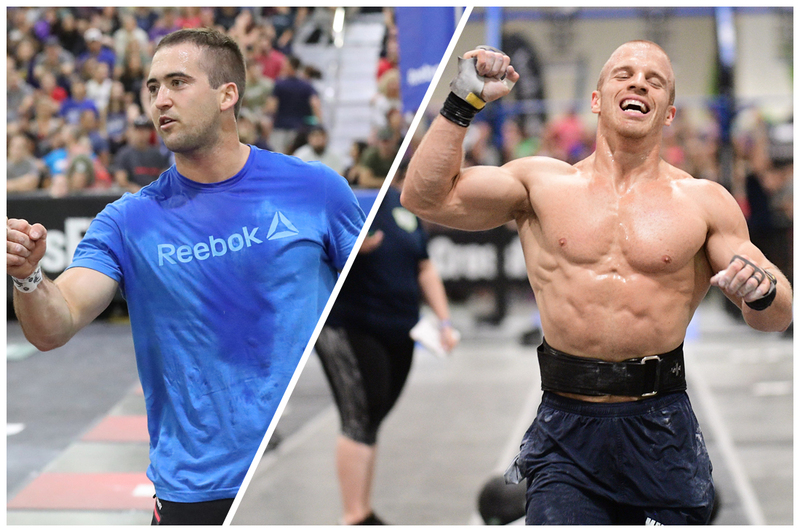 Reebok Legacy took second and first to Training Think Tank’s ninth and fourth in Workouts 6 and 7, while Training Think Tank had the upper hand with first-place finishes in Workouts 5 and 8, compared to Reebok Legacy’s 11th- and fifth-place finishes. When the math was done—“I was anxiously refreshing the leaderboard at 8 p.m. on Monday to see if we were able to sneak on past them,” Ohlsen wrote—it was Training Think Tank who came out on top. “I personally am not used to team stuff, but this brought out a different side of competition and I had a blast,” Mayer said. “The synchro was an added challenge, but made it cooler than if it were all just individual pieces added together,” Ohlsen added. 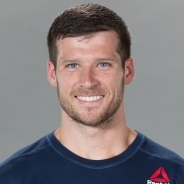 Reebok Legacy finished second, earning $5,000, while third place and $3,000 went to Alexandre Caron and Stephane Cossette, the only team of any division to earn a podium spot with no previous CrossFit Games experience. The CrossFit community may have had little doubt that Thorisdottir and Davidsdottir would add “Team Series Champions” to their already-stacked resumés, but the champs stayed as humble as ever. 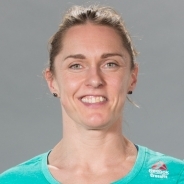 Though she joked that she hoped Davidsdottir would finish her half of the workout quickly so she, Thorisdottir, could “chill” when it was her turn, Thorisdottir showed what a champion performance looks like, completing 30 unbroken chest-to-bar pull-ups to stop the clock at 11:49. They didn’t win the workout—that victory went to Alessandra Pichelli and Whitney Heuser, who finished 10 seconds faster—but their second-place finish only added to their collection of impressive performances, and the Dottirs remained on top. Thorisdottir also got a back squat PR as a bonus prize, hitting 308 lb. 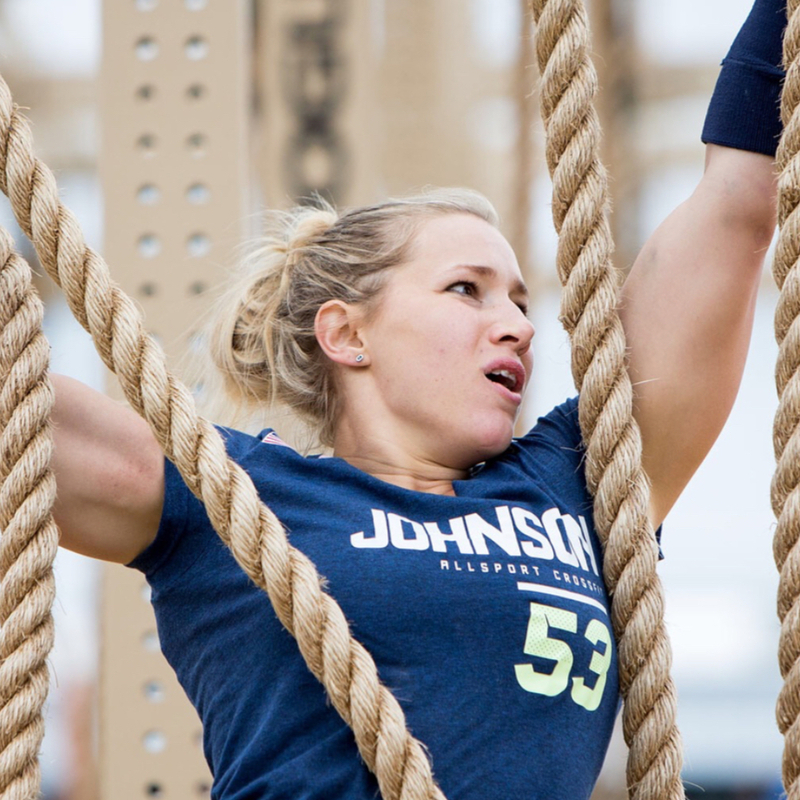 in Workout 7 and joining the ranks of hundreds of CrossFit athletes who set a new personal best or earned a new skill in the heat of competition. 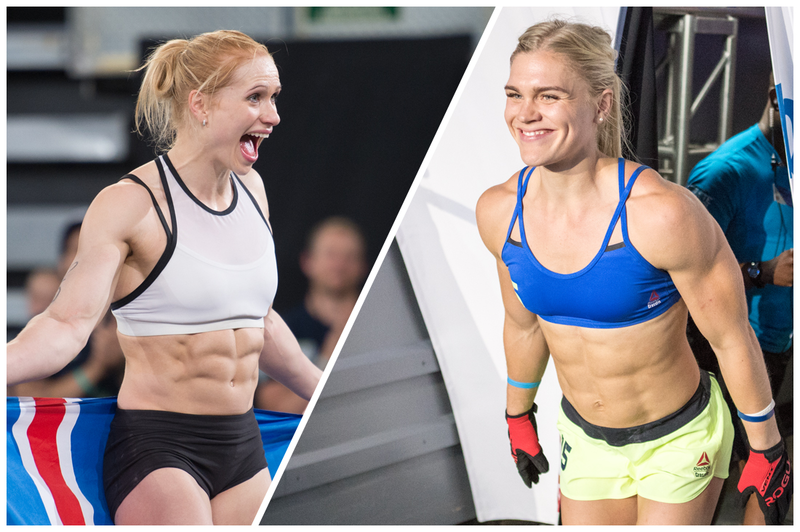 Rogue Fire & Ice—Sam Briggs and Sara Sigmundsdottir—held the third-place spot at the close of score submissions. Unfortunately, they were unable to provide sufficient video footage of the workout requested and will drop to 63rd place overall. Pichelli and Heuser rocketed from fifth (after Week 1) to second. In a Dottir-esque display of dominance, Team XPN World held the top spot in the mixed-pair division from start to finish, also tying the Dottirs with the most workout wins—three—of the Series this year. Finishing all eight workouts in third or better, the pair gave the best per-workout performance of any team across all divisions. As befits a stoic team of few words, Vigneault offered one short nod to his partner by way of explanation: “She is good at handstand push-ups,” he posted on Instagram after the pair finished Workout 7. 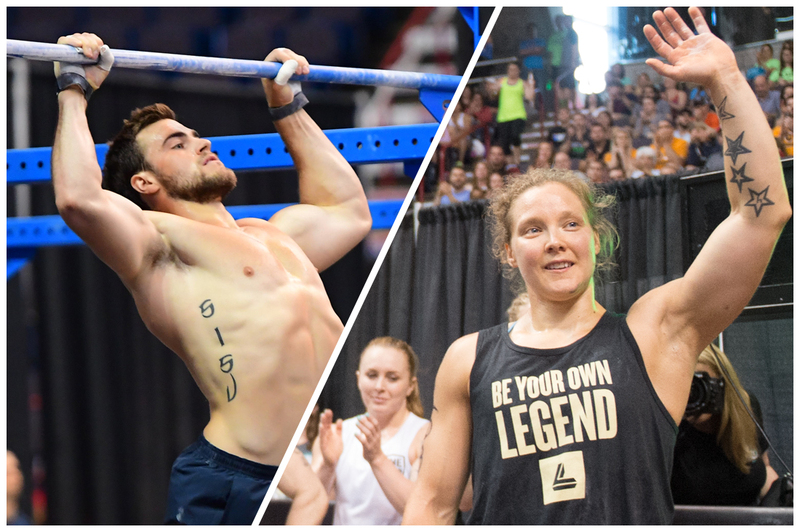 Travis Williams and Alexis Johnson—team Fitaid Friendz(oned)—also maintained their second-place position from Week 1 through the end of the Series, taking silver with two workout wins and five top-three finishes. The team credits its performance to its history: Williams and Johnson are regular training partners and have competed together in every Team Series thus far. The fight was for third. Going into Week 2, Team Winter Is Coming (Alec Smith and Caroline Dardini) held the third spot, with the third Smith brother, Dane, hovering just off the podium in fourth with his partner, Emily Brady. 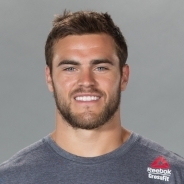 But when both teams fell surprisingly short in Workout 5—Dane and Brady tied for 19th; Alec and Dardini tied for 30th—team Atlanta United (five-time Games athlete Emily Bridgers and 2013 Games athlete Daniel Petro) passed them with a tie for fourth, more ground than either Smith-and-company duo would be able to recover. See the recap of the masters and teens competions.